Determining the right price for a drug involves analyzing multiple variables and carefully articulating value to stakeholders. Here’s a big-picture view of the process. Pricing pharmaceuticals is not only complex, involving multiple variables and affecting numerous stakeholders, it’s also intensely politically sensitive. 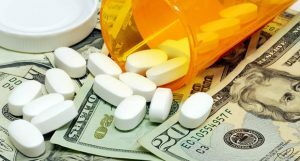 Increasing scrutiny of the pharmaceutical industry by government agencies has shown every articulation of value for a drug needs to be backed by data and demonstrated in a compelling fashion. Identify hurdles and plan for critical outcomes. The more intimately pricing experts are involved in product profile development, the better. That way, we can identify evidentiary hurdles in advance and plan for critical outcomes as much as possible, so that products are developed, and studies are designed to capture data most important to payers and other stakeholders. A key to profitability is optimizing both price and access. Jupiter Life Science Consulting experts help brands document credible differentiators and articulate powerful unique selling propositions. Engage payers effectively. Early payer engagement involves working with the right advisors to inform your specific needs and understanding their decision-making behavior. We have long-standing relationships with key market access decision makers. These include not only payers such as insurance companies and government organizations, but also clinical opinion leaders, other health care professionals, potential partner companies and other organizations. Jupiter experts can help you engage stakeholders effectively via a variety of approaches to effectively plan product commercialization. Navigate market access. Just as the drivers of pricing strategy in the global pharmaceutical industry can change in response to multiple variables, different stages of development require specific approaches to market access strategy planning. Jupiter’s leadership can help optimize strategy for every stage in a drug’s lifecycle, whether it’s during pivotal trial planning, in support of a launch, as loss of exclusivity nears, or at points in between. Our experts are committed to robust client engagement and are focused on finding solutions that are tailored to address the need at hand. Navigate certain legal challenges. Research and development are expensive. Protecting that investment is essential. In unusual circumstances, legal disputes can arise between partners or developers. Jupiter leadership has successfully been engaged to act as an expert witness on pricing and access issues. Whether your brand or product needs a quick commercial assessment, qualitative and quantitative value-based pricing research and modeling, or launch price setting and sequencing, defining your optimal pricing strategy is central to your commercial success. Jupiter Life Science Consulting is uniquely equipped to help you plan for an entire lifecycle and use the right tactics at the right time.